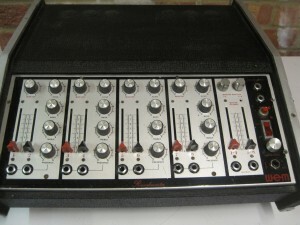 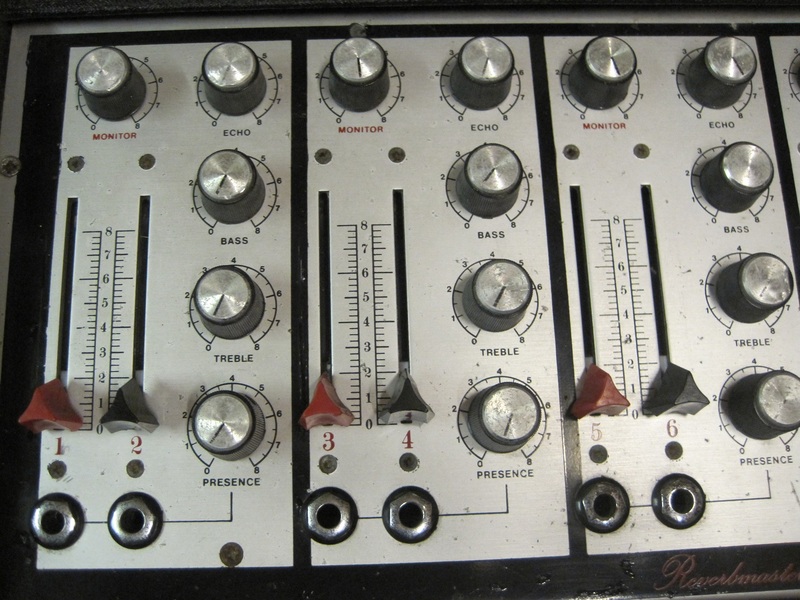 This is a 4 channel mixer / amp with built-in 100 watt solid state amp. 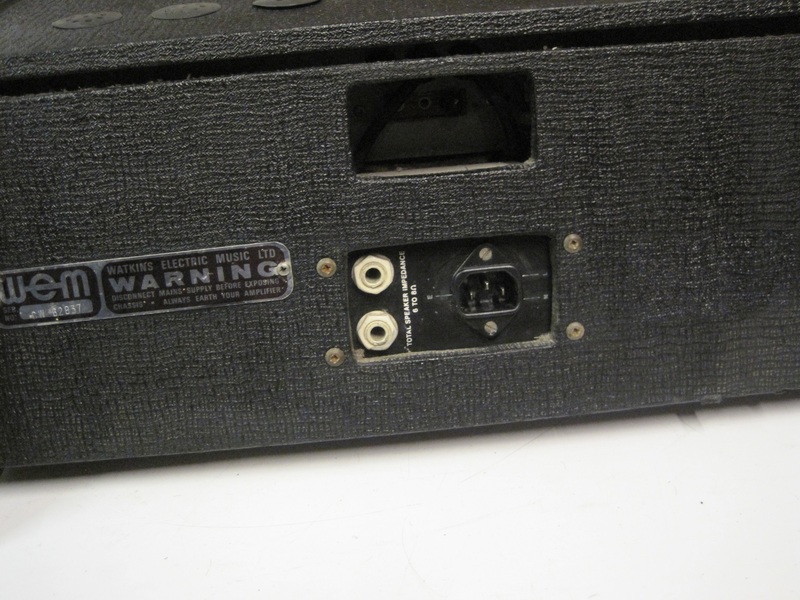 It also has built-in Hammond spring reverb. 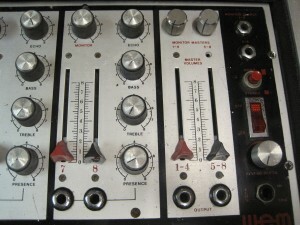 There are 2 inputs on each channel so channel 1 has inputs 1 & 2, channel 2 has inputs 3 & 4 etc. 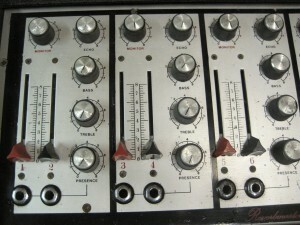 The output is controlled by master sliders – one for inputs 1-4 and one for inputs 5-8. 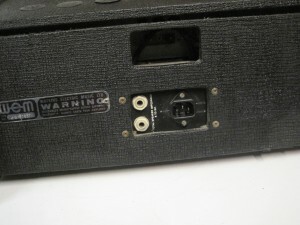 There is a push button switch on the front panel which enables the unit to be used in stereo mode but this does require an additional slave amp connected to one of the master output sockets. 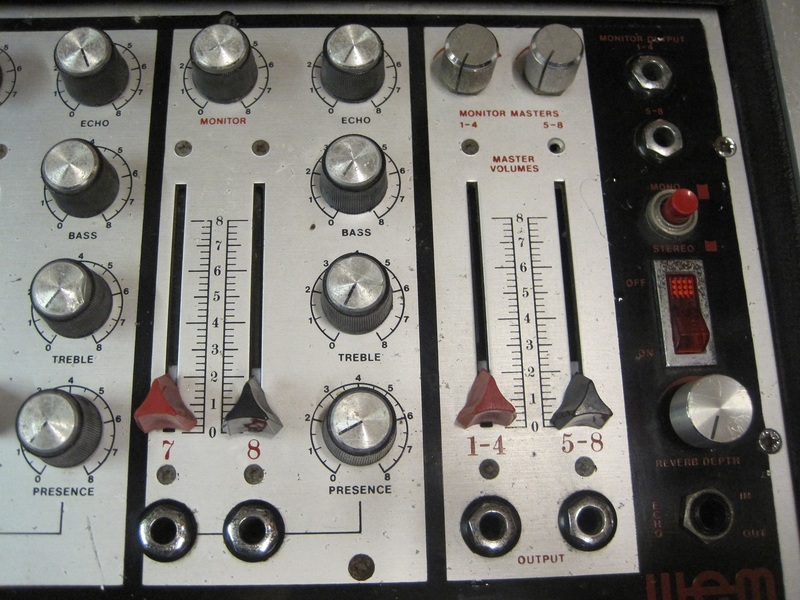 There is more info on the spec. 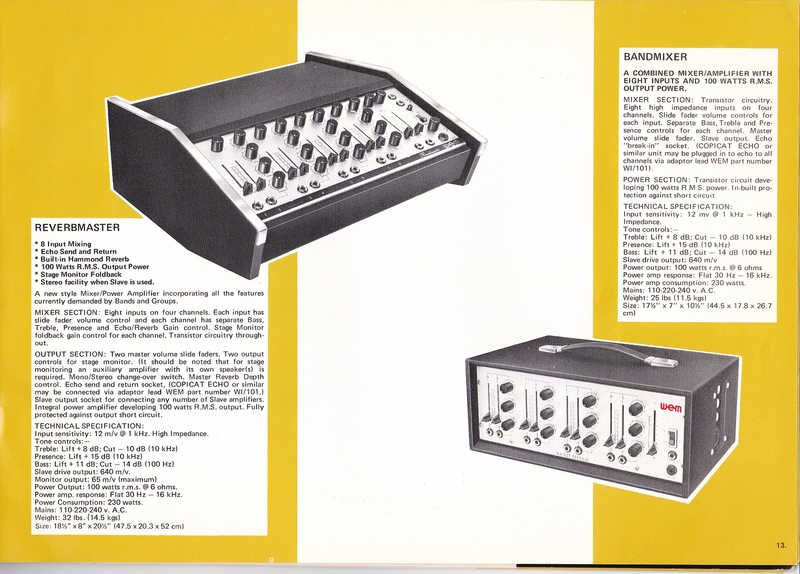 of this mixer amp in the catalogue page.